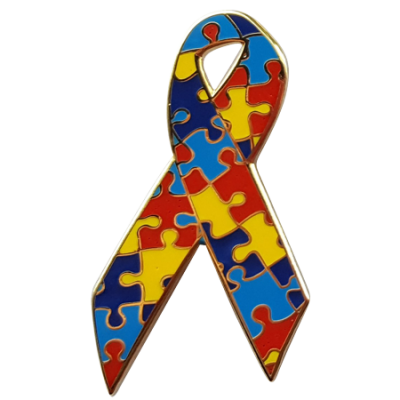 Autism Awareness Ribbon Pins | Retail & Wholesale | Custom & Stock. Raising awareness one pin at a time. 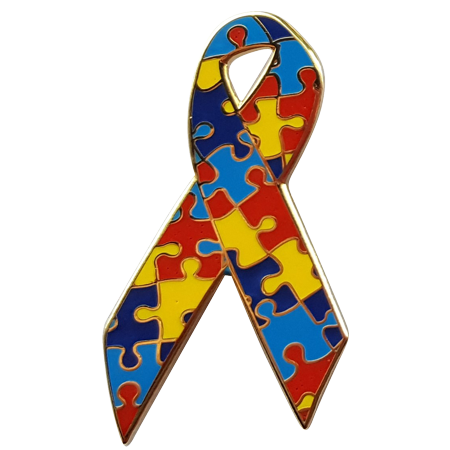 Our Autism Awareness Ribbon Pins are high quality brass, 1.25” with 4 Epola enamel colors. They are gold/silver plated with double butterfly style metal clutches on the back. The pin is exquisitely shaped including an interior piercing, giving it the distinct appearance of an actual ribbon. 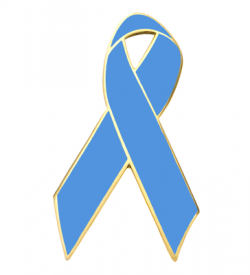 Please note that the appearance of our Autism Awareness Ribbon Pins colors differs depending on the monitor/screen you are viewing it on. If you would like a different shade than the one listed above, you can choose nearly any Pantone C color from our Customized Color Awareness Ribbon Pin. For best accuracy we highly recommend consulting a modern official Pantone C color guide when selecting your Autism Awareness Ribbon Pins enamel shades. Pantone.com may be of assistance if you do not have access to a Pantone C guide.